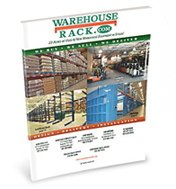 Términos y Condiciones : Warehouse Rack Company, Inc. The validity, construction and enforcement of the purchase agreement between Warehouserack.com and Buyer, including the use of this website and services, shall be governed by and interpreted under the laws of the State of Texas. In the event of any dispute arising out of this agreement, Buyer consents to the personal jurisdiction of the federal and/or state courts located in the County of Houston, State of Texas, United States of America. Terms of payment are within the sole discretion of Warehouserack.com, and unless otherwise agreed to by Warehouserack.com, payment must be received by Warehouserack.com prior to acceptance of an order. Payment for the products will be made by credit card or some other prearranged payment method unless credit terms have been agreed to by Warehouserack.com. We accept all major credit cards: Visa, MasterCard, Amex, and Discover. For alternative payment methods, call 877-914-7225. Invoices are due and payable within the time period noted on the invoice, measured from the date of the invoice. Warehouserack.com may invoice parts of an order separately. Orders are not binding upon Warehouserack.com until accepted by Warehouserack.com. Any quotations given by Warehouserack.com will be valid for the period stated on the quotation. Prices reflect Buyer's cost in U.S. currency. Product prices do not include shipping, applicable federal, state, and local taxes, additional delivery charges, or special crating requirements for export shipment. Buyer shall pay all such costs, taxes, and charges. Tax exempt customers call 877-914-7225 for information, or fax your order to 888-598-1193 along with the tax-exempt certificate. Product Prices, availability, and specifications are subject to change without prior notice. Any typographical, photographic, or specification error in product, pricing, or offers is subject to correction. We strive to provide accurate pricing, but despite our best efforts, pricing errors may occur. In the event a product is listed at an incorrect price due to typographical, photographic, technical error, or error in pricing information received from our suppliers, Warehouserack.com reserves the right to refuse or cancel any orders placed for products listed at the incorrect price. If an item's correct price is lower than our stated price, we will charge the lower amount and ship you the item. If an item's correct price is higher than our stated price, we will cancel your order and notify you of the price error and order cancellation. You will, of course, have an opportunity to purchase the item at the correct price, if you wish to do so. Any confirmation of sale, including internet, fax, or other confirmation, remains subject to corrections to pricing, product description and/or specification. Shipping Terms. Unless otherwise requested by Buyer, we will ship your order prepaid via FedEx, Common Carrier, or Courier. Stock items generally ship within 3 to 5 business days of placing the order. Non-stock items are shipped directly from the supplier, and timing of shipment will be confirmed following placement of the order. Shipping, handling, and packaging charges must be prepaid and added to the invoice. Any extra charges for services requested by Buyer, i.e., special routing, inside delivery, or pre-delivery notification must be paid by buyer, and will be added to the shipping charges at order confirmation. Liftgate – Ground delivery. Without liftgate service, driver is only required to provide service to back end of trailer. Please note that 96” wide shelving units cannot utilize liftgate as trucks with liftgate are only 84” wide. Please call customer service with questions/concerns at 877-914-7225. Freight Charges. Our web site provides our customers with information regarding freight charges applicable to shipments in all of the Continental United States, with the exception of Alaska. We will be happy to provide you a freight quote for shipment to areas outside the Continental United States, including Alaska, Hawaii, Puerto Rico, Guam or any other U.S. location. Please call our customer service at 888-598-1193 for a freight quote. Stock Products. These are available for pick-up at Houston, Fort Worth & San Antonio Texas. Not all stock products are available at every location. Please contact us at 877-914-7225 for additional information on shipping locations. Stock availability is subject to change without further notice. If your order is not entirely available at one location, we will contact you for your approval on shipping charges, and we can ship the remaining product to that location at your expense. Receipt of goods. Remember: You are the final inspector. Please confirm that your order is received without damage. Any deviation should be noted upon the carrier's bill of lading for damage and/or shortage. If you have questions or concerns or you want to request any of these services, please contact customer service at 1-800-500-9141, or e-mail us at info@shelving-direct.com. Damages & Freight Claims: Remember: You are the final inspector. Our company carefully packed and inspected your order before it left our facilities, and the responsibility for its safe delivery was assumed by the carrier upon acceptance of the shipment. Warehouserack.com contracts with the carrier for delivery to you, but our responsibility for safe delivery of the products and merchandise ceases when shipments are received by the carrier. Therefore, for the protection of all parties it is important that upon receipt of your order you thoroughly inspect your order and confirm that it is received in full and without damage. Along with the order, you will receive a packing list detailing all the products included in your order. You must check your order against this packing list to confirm that all pieces have been received (note: If the packing list is missing from your order this must also be noted upon the carrier’s delivery receipt). You should examine the products for any visible signs of damage. After you have inspected your order, you will then be required to sign for the shipment to confirm that your order has been delivered complete and in good condition. This discharges the freight company/carrier/ shipper from any responsibility (note: in certain circumstances damage that was not readily visible may be accepted by the carrier as a “concealed damage” claim-see below). Any deviation in your order must be called to the attention of the carrier while the driver is present and properly noted upon the carrier's delivery receipt for damage and/or shortage. The same must then reported to Warehouserack.com customer service at 877-914-7225 as soon as possible within 24 hours, but in no event later than 30 days of receipt. Any shortage noted on the carrier’s delivery receipt will be replaced at no additional charge, including freight costs for return or replacement, provided the notification is received within 30 days. You must provide Warehouserack.com with a copy of the delivery receipt noting the damage or shortfall, along with a letter stating whether you would like replacement or credit. Again, if the delivery receipt is not properly notated, there is no recourse with the carrier and thus no reshipment, nor reimbursement. All damaged products plus packing materials must be kept in the general location of delivery until a damage inspection has been made by the delivering carrier. Do not dispose of any cartons or packaging until all discrepancies/variations have been addressed by the carrier or Warehouserack.com. If you are not the person receiving the product, you must give instructions to the person in charge of receiving the order to comply with these requirements. Failure to perform any of these conditions may cause additional charges for returns or replacements to be incurred. Concealed Damage: In the event concealed damage is found, it must be reported to Warehouserack.com as soon as possible within 24 hours of discovery of the damage, but in no event later than 30 days of receipt. The responsibility to inspect your order and notify Warehouserack.com is upon you, the customer, and failure to do so will result in Warehouserack.com being unable to in turn file a claim with the carrier and comply with trucking rules and regulations. Warehouserack.com will investigate any concealed damage claim as promptly as possible. Warehouserack.com will process the order cancellation as soon as it is received. If the order has shipped, you will be responsible for applicable freight charges, including return shipment charges. A re-stocking fee may also apply, not to exceed 25% of the total purchase price. If the order has not yet shipped upon receipt of the order cancellation, you may be responsible for re-stocking fees if the order was already prepared for shipment. Warehouserack.com works hard with its suppliers to minimize these costs to our customers when orders are cancelled. Return Authorization. 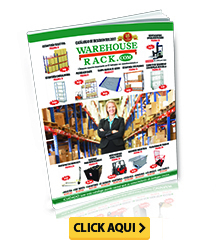 Warehouserack.com has a 30-day return policy subject to certain limitations. To process a return, you must obtain a return authorization (RA) by calling Customer Service at 877-914-7225 or by sending an e-mail to info@warehouserack.com. Return authorization is subject to Warehouserack.com’s shipping and return policies. Shipping costs may be applicable. Items returned without an RA number will be refused. Interlake Mecalux DBA Shelving Direct reserves the right to refuse any return for any reason or for no reason at all. Unopened, unused products returned for credit. In most cases we will refund your money (possibly less a 25% restocking fee) within 30 days of purchase date on most products. To return items, you must obtain a return authorization (RA) number and correct return address. Items returned must be shipped prepaid; collect shipments will be refused. If an item is not complete and resalable, credit will not be issued and a handling fee may be charged. Some manufacturers will not accept returns for any reason at all. Unopened, unused products returned for replacement with another item. Replacements will be treated as a new order. Follow above instructions for returning unopened, unused products. Your new order will be processed, credit card billed and product shipped immediately. Credit for the returned item will be issued upon receipt and inspection. Defective/incorrect product returned for replacement. We will replace most defective/incorrect items within 30 days of delivery date. Returns of defective/incorrect product will be arranged by Warehouserack.com and must be accompanied by original order number. We will ship a replacement immediately. If it is determined the item returned is not defective / incorrect, you will be subject to ALL additional charges, including return shipping and call tag fees if applicable. Defective product returned for credit. We will issue a credit for most defective items within 30 days of delivery date. Returns for replacement must include all product and literature in original packaging and must be accompanied by original order number. We will issue a credit upon receipt and inspection of the product. If it is determined the item is not defective, you will be subject to ALL return shipping charges, including call tag fees if applicable and a 25% restocking fee. Non defective items that have been used may not be returned for credit or replacement. Non defective items that have been opened or have a broken seal may be returned, however, they may be subject to a 25% restocking fee. We are not liable if you order the wrong product. We do our best to provide complete, accurate descriptions about all items we sell. To ensure that you are ordering the correct item, call our customer service department during normal business hours. Since product specifications change often, any uncertainties should be addressed before a purchase is made. Manufacturers will not allow opened, non-defective items to be returned for credit or exchange. Refused shipments. If delivery of a shipment is refused, you will be responsible for payment of all applicable freight charges, including return shipment charges. You may also be charged a re-stocking fee, not to exceed 25% of the total purchase price.